Kellie and Company recently invited a guest artist to educate us on the latest Wella “Cut Craft” techniques in our west jordan salon. Angelo Terracciano helped us to look at hair design fundamentals in a different way that was very enlightening. Cut Craft is all about technique, shape, and action of different haircuts. The stylists at Kellie and Company strive to keep their skills and talents current so that we can offer timeless beauty, but with a modern and personalized flare. After going over the science behind Cut Craft we put it to work on live models. I asked one of my favorite clients, Izzy (above), if she would be willing to let me try some new things on her. This girl has amazing long locks of hair (down to her waist)! Plenty of hair to play with, which gave me lots of options to work with, a hairstylist’s dream! I consulted with Izzy on what she was looking for in her new hairstyle. Izzy wanted to still be able to do cute easy hairstyles that long hair provides, but a totally new look. 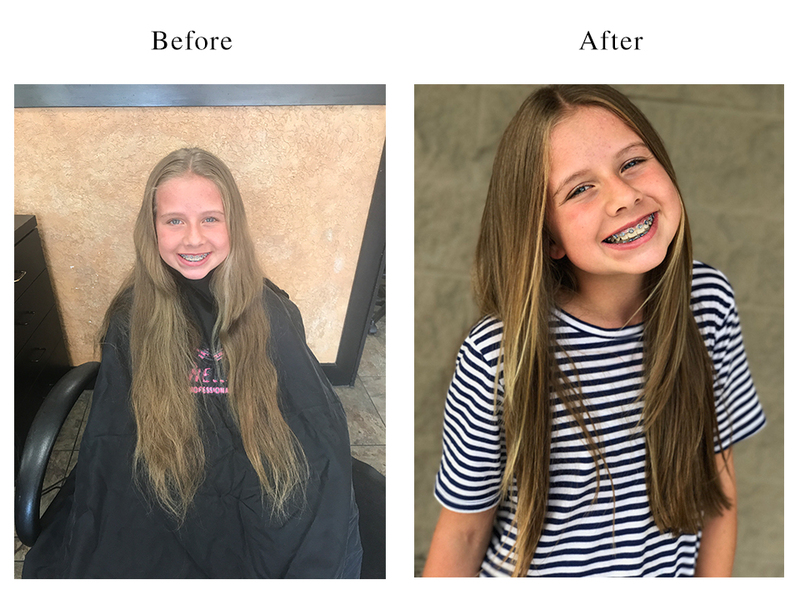 We decided that cutting her length to just below her shoulders and adding some face framing layers was the route she felt most comfortable and excited about. I have a philosophy when it comes to hair care of different lengths of hair. Longer hairstyles take a lot more time to initially do, but usually can last a couple days with some good dry shampoo. Short hairstyles are super quick and easy, but look best when done everyday. Izzy doesn’t mind taking the time to do her hair, but she doesn’t have an hour every morning. So staying on the longer side was in her best interest. 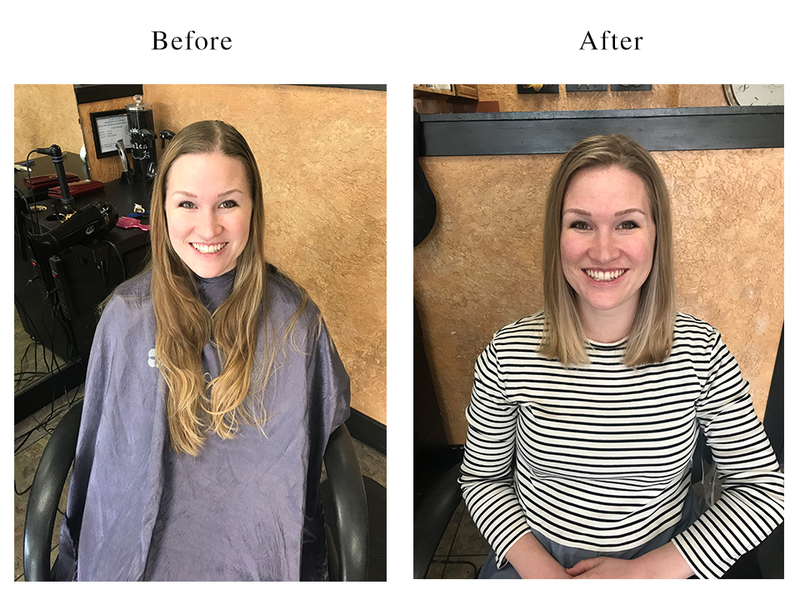 I was excited to cut some length off because I knew it would give her a lot more movement and personality in her hair, not to mention she would look a lot older and sophisticated! The haircut I did on her can have a different effect on different people. Izzy is pretty young, so the face framing layers gave her an older look. One length with no layers is typically the hairstyle you see cute young girls with. However, one length with no layers can start to age an older woman. Adding face framing layers to an older woman can help to soften her look and give more personality to her hairstyle. That’s why I love the haircut I gave Izzy, it’s so versatile and can be totally customized. 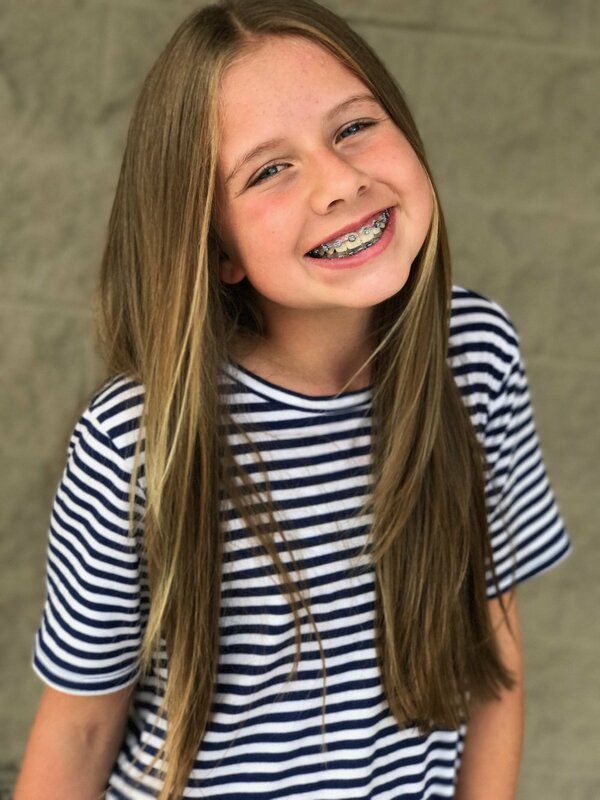 The hair care products I recommended to Izzy was EIMI Root Shoot (for volume), Dry Me (for added volume in between washes and a continued fresh look), and Ocean Spritz (for a beachy texture when she wanted to curl her hair). All of which can be purchased right here in our salon!